The Enchantress didn’t turn the Prince into the Beast. Instead, her spell simply showed the ugliness that was already present within him. Each member of the household became a representation of their internal character. Cogsworth, who surely kept the household running as smooth as clockwork, became an actual clock. Mrs. Potts, as comforting as a cup of tea, now always had tea on hand (spout?) for those in need. The flashy, shining personality of Lumiere? A candelabra, of course! The handsome Prince with a beastly temper and no compassion for the suffering: he simply became the Beast he already was. Beauty and the Beast is also a story of sacrificial love. Belle, with all of her dreams of an adventurous life, in a moment, chose life in a cage so that her father could go free. Maurice, begged Belle not to do it, saying “I’m an old man. I’ve lived my life.” And he fought like mad to get her back. 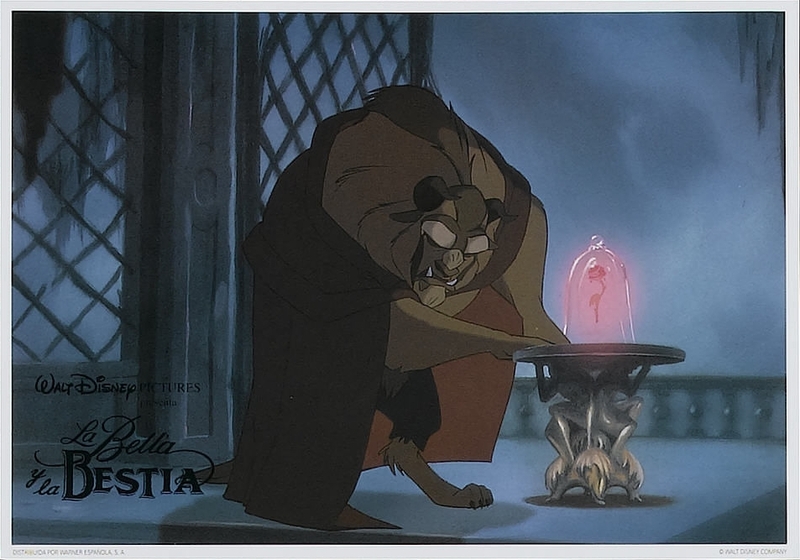 One might say that Belle also loved the Beast sacrificially. However, it was really she who was the recipient of that love. The Beast had been humbled by the curse. The change started before Belle found her way to the castle. He now desired love, realizing he needed to be able to love. He was ashamed of himself, which made him angry. But his humility led him to begin putting others before himself. First, the Beast risked himself to save her from a pack of wolves. Whereas before he wouldn’t give up the barest of his many rooms for an old woman, now he will risk life and limb to save Belle. 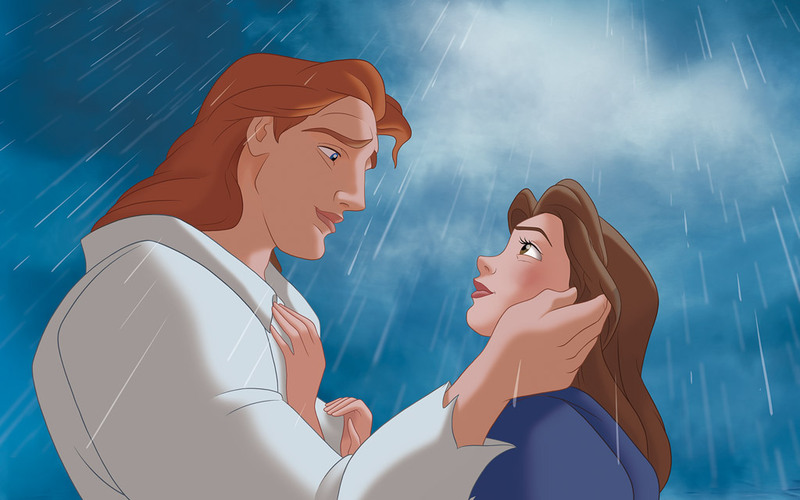 Then, in an even greater sacrifice, when he is so close to winning Belle’s heart, he lets her go to find her father. Are there mixed motivations in his love? Yes, absolutely. He doesn’t want to be the Beast anymore. But in letting her go, he shows that he loves Belle more than he loves himself. His love for her is stronger than his desire for the curse to be lifted. In other words, he has repented of his selfishness and pride, and loved another person. Of course this is a Disney movie, so it works out. After some drama concerning Gaston and mob mentality, they get back together. ©Disney Even when I was six years old, I thought this guy was a disappointment. Beauty and the Beast’s appeal in part lays in the fact that we can see ourselves in the characters. We each have felt something Beastly in us that has brought shame. And we each desire to love and be loved. Scripture, like the Enchantress, shows us ourselves: people in need of repentance. We may not have turned away an old lady on a stormy night, but each one of us, at some point, has chosen hate over compassion and selfishness where love is called for. Like the Beast, we need to learn humility and love. But how do we do that? In Romans 7, Paul writes that one purpose of the commands of God is to show us our sin. Much like the Enchantress, the commands of God in the Bible show us our own nature. We cannot possibly follow His commands perfectly, for we are imperfect. And imperfect following of the God’s commands brings destruction to ourselves and our relationships, most importantly our relationship with God. Therefore, we must trust in One who has followed it perfectly to stand in our place, to heal our relationship with God. This is where sacrificial love comes in. Jesus followed God’s commands perfectly, and therefore enjoyed perfect relationship with God. But then, he suffered the full punishment for our disobedience — namely separation from God — so that we don’t have to. His sacrificial love purchased for us a right relationship with God that we cannot attain on our own. And in that relationship, knowing we are loved, we can love sacrificially. So will you learn the lessons of the Beast? Can you identify any of your faults and trust Jesus for forgiveness? In response to this love, will you love sacrificially? ©Disney This has nothing to do with the post. 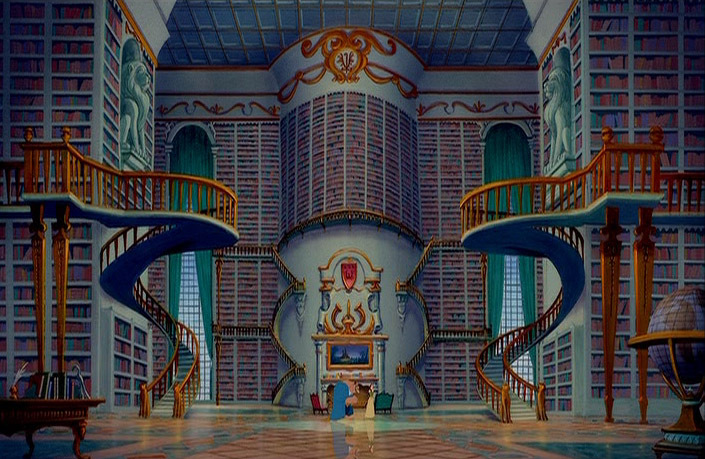 That library tho.